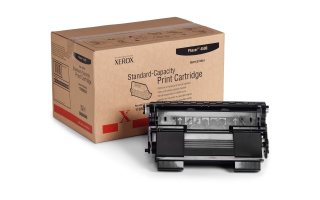 Genuine Xerox standard-capacity print cartridges, engineered specifically for the PhaserTM 4500 printer, provide you with a lower unit cost alternative. Xerox high-quality print cartridges are built for performance  guaranteed to deliver crisp, clean text and images without interruption, consistently making your work look its best. And, Xerox will recycle them free of charge through our Green World Alliance program. Le Phaser 4500 n'est plus commercialisé.Découvrez son produit de remplacement.